Desert Forest Golf Club is arguably Arizona’s first true desert golf course built in 1962 by the venerable Red Lawrence. The name might seem a misnomer to outsiders for there are no traditional woods but in desert terms, saguaros and brush comprise a forest. The name of the town however is spot on – Carefree. The serenity is almost surreal making carefree a lifestyle on and off the course. In the beginning Desert Forest was quite remote from the city of Phoenix, accessed by a dirt road. Before environmental constraints and regulations became a hindrance to most designers, Red’s biggest challenge was to manage the build out below a $300,000 budget. 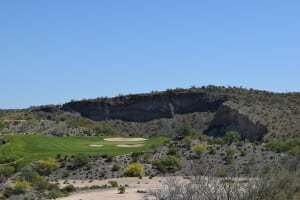 It seems comical in today’s standard when each hole averages about $1M, yet the minimalist approach allowed the artist to paint a classic within the confines of the rugged desert canvas. In 2013 Coore & Crenshaw protégé, David Zinkand was charged with a re-design of the course in four months’ time and under a $3 million budget. 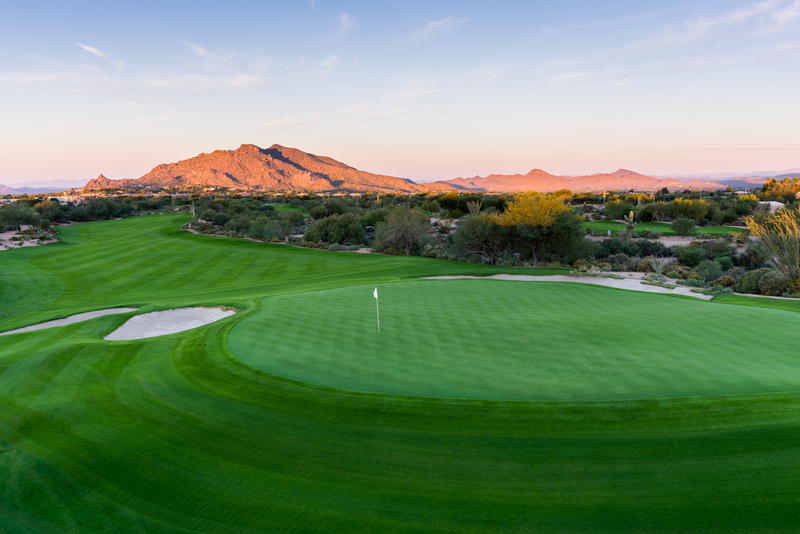 Having masterfully constructed and successfully completed other projects including Bandon Preserve and Bandon Trails in Bandon, Oregon and the Saguaro course at We-Ko-Pa in Fountain Hills, Arizona, he managed quite well, staying true to Red’s original design premise. The Sonoran Foothills provide exceptional backdrops for the fairways carved through arroyos, washes, and mounds of hostile vegetation that permeates the desert. 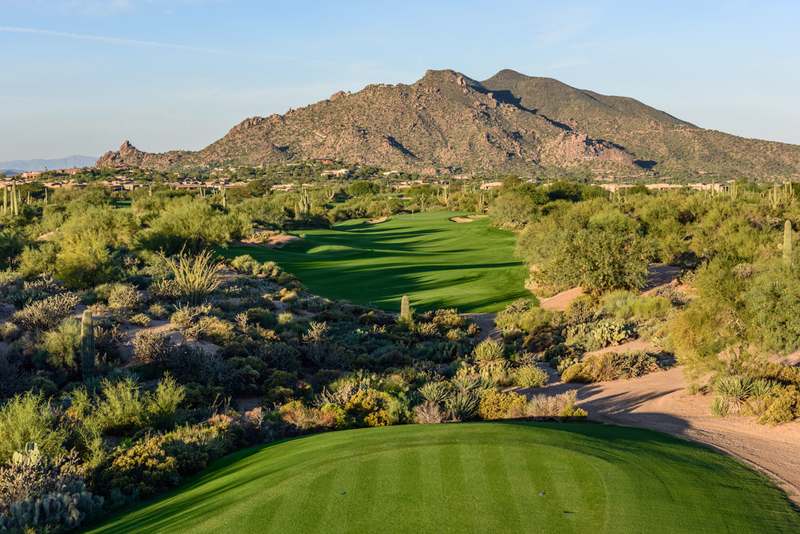 Annually awarded as one of the Top 100 courses in America and having celebrated their 50th anniversary in 2013, Desert Forest has stood the test of time and is now set for the next 50 years. Today the road is paved and widened. The valley of the sun’s sprawl has approached but not encroached upon the beauty of this private setting. While most courses built in the Southwest desert scene of Phoenix are designed with real estate sales in mind, this course has remained intact and as close to the original as possible, yet plenty of home options have sprung up minutes away. The main theme of simplicity begins with the unassuming but well equipped single story brown clubhouse. In the clubhouse bar and patio members gather to watch participants on the practice green and driving range. They duck in and out for an assortment of treats in wide mouth bulk jars reminiscent of soda fountain days and of course, everybody knows your name. Grab your drinks before the round and at the turn, as there is no interruptive cart service on course. Balls are ready on the driving range along with a large practice green and members may fine-tune their wedges on a three-hole short course with or without Craig Hocknull’s lessons. He triples his golf duty at Western Skies, a public track on the east side and scheduling his trick shot artistry. All warmed up and ready to tee, most members walk the course and the health benefits show. Number one sets the stage as a desert doozey dogleg right. An errant ball can put you in a pickle or at least a prickle of a bush. Focus on hitting the fairways or desert ball searches will be a major part of the game. Number three is an oasis par 3 with a pond on the left. Bunkers are absent from fairways but abound by the greens, still a welcome lie over the desert rocks with quality grains from the redesign. The greens are sizeable and a bit ambiguous, perhaps a result of being refreshed. Hard to hold, and high on the stimp meter, they make it challenging to play again and again. We played with members Donna and Scott Whitaker who attested to the repeat playability. On the tough number four Scott said, “It eats me up every day,” with a lilt in his voice. They come from Missouri, the show me state where they have memberships in two clubs. They fell in love with Desert Forest at first play and it is easy to see why. Everyone is friendly, members and staff. Why not? It’s Carefree. 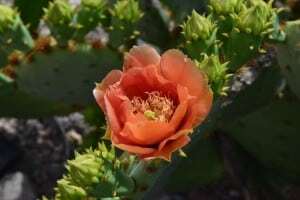 “The mayor” of Desert Forest organizes social activities, matching up members with geographical or personality connections. There are no tennis courts or swimming pool but they are available along with a fitness center across the road at the Carefree Resort. This is a golf club, not a country club. While 7200 yards from the tips seems short by today’s course standards, the 73.8/149 slope rating signifies a challenging if not difficult course. Power hitters will be perplexed by club selection on each tee box. It is exceptionally proportioned for long holes that open generously to the green, while shorter par fours are a stretch to elevated greens with monstrous bunkers, and false fronts. The longer the hole, the larger the greens are. Shorter holes seem to have shrunken greens to accentuate the approach. 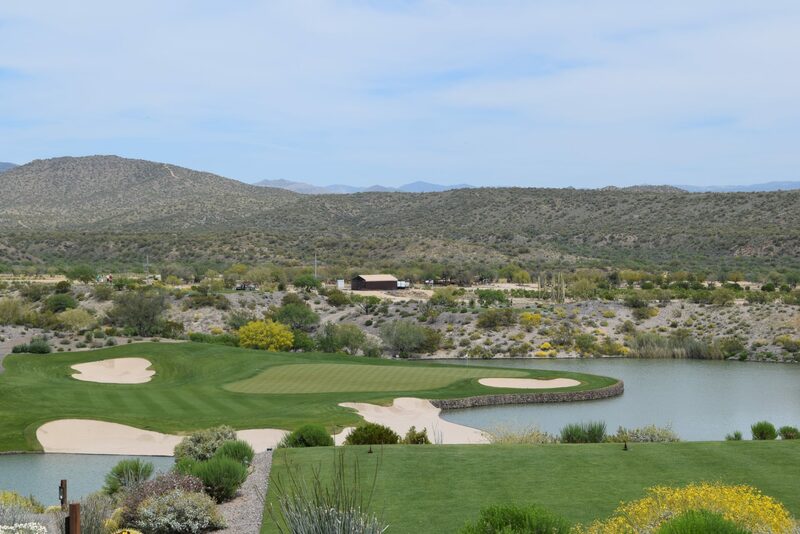 Desert Forest Golf Club provides a stern test of golf that all levels of skill can enjoy with eight sets of tees. 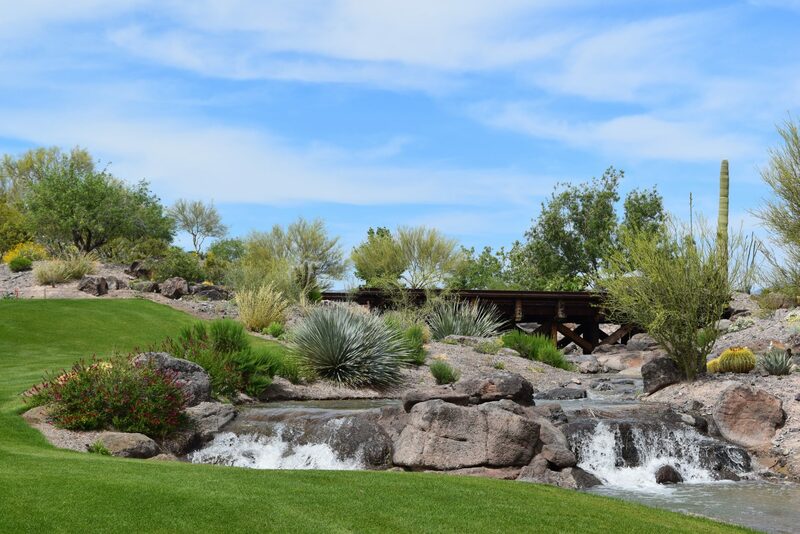 The host site for many national junior and amateur events, Desert Forest Golf Club will be hosting the USGA Four-Ball Qualifier in March 2015. Designer Red Lawrence was nicknamed Desert Fox – a tribute to the original animal or General Rommel of the North African desert campaigns during WWII? Both men were exceptionally strategic and tactical, generous and kind in nature, but ferociously intense in vocation. Desert Forest will forever be attributed to Red. 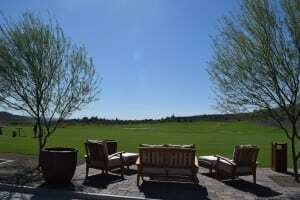 If you are considering a winter home, relocation or local membership, check out www.desertforestgolfclub.com. 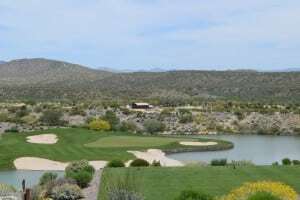 No score and seven years in the making, all hail the new Wickenburg Ranch Golf & Social Club! 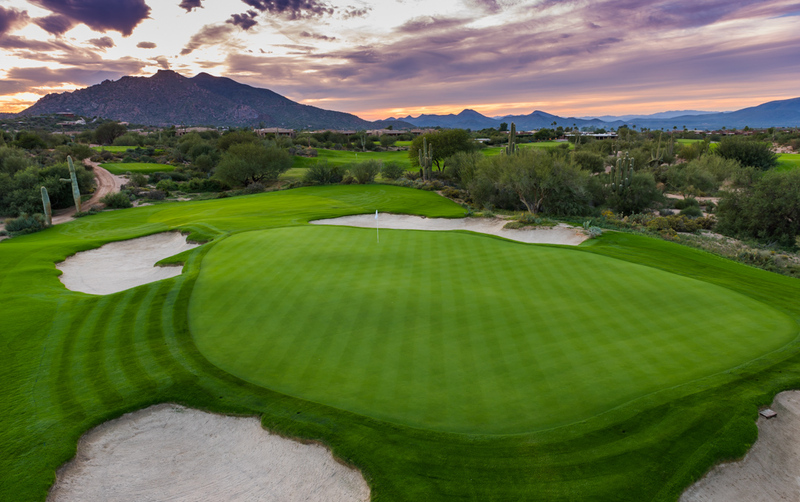 Opened in February 2015, this course will rival any desert splendor in the greater Phoenix area, scoring high with amateurs and pros alike. 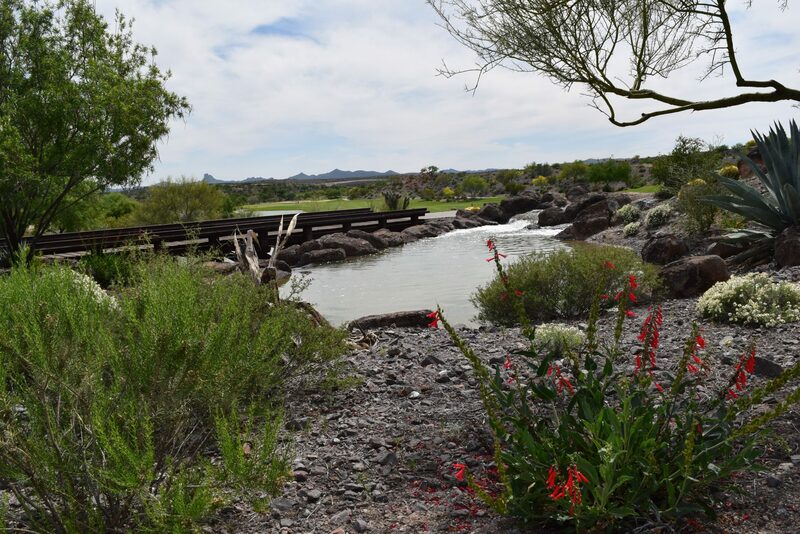 Just a couple weeks prior, hordes of workers were on deck to complete the model Shea homes above the number one fairway, to bridge gaps in the cart paths and to detail the landscaping, meticulously replacing saguaros. It looked like a Pixar movie scene of grown boys on their big Tonka toys grading, not our game, but the earth – paving way for the spectacular future clubhouse. Plans will evolve over time to include a social club with all of the amenities expected in a luxury lifestyle community including restaurants, a day spa, tennis and pools. The interim club with all the basics will be perched on a strategic vantage point for drinking in the western wonder along with your favorite libation. A star-studded cast was hired by Blue Star to ensure the upscale delivery of golf and more in Trilogy tradition. General Manager Christian Corbett is a Bostonian most recently migrating from Utah and Head Golf Professional, Justin Henderson, PGA makes his daily commute from Prescott. Andy Huber from Troon heritage, was drawn from his most recent position maintaining coastal links along the Algarve in Portugal so there is no doubt about the sustenance of the pristine golf conditions within the dramatically inspiring rock hills. Are you ready for prime time play with incredibly striking views? Both visually stimulating and intimidating, the line of sight on hole 6 to an uphill green surrounded by bunkers, is completely engulfed by a large reflective lake. The left fairway allows for bailout by the weak of heart. A sand area borders the far side of the lake to capture brave drives eking over the water but short of the miniscule fairway before the green, which slopes from back to front. As on the entire course, putting surfaces are ideal but the subtleties compound the challenge on this short par 4. On hole 9’s par 5, the easiest shot is the drive, and then it is up, up and away, but to where? The green is hidden from view atop the high hill guarded by bunkers on the right and back. Easy from the back tees if you divine the green’s position on this blind monster; judge the right distances, and play well with steep lies. Did we say easy? The forward tees need 3 long steady shots for par or birdie. Look back and say ahhh. The closing dogleg left is littered with sand bunkers and elevation changes. Favor the right side of the elbow for a direct approach, as a left side short cut requires a blind shot. Miscalculations of distance with three different desert crossings on the way to an uphill green could result in a fairway to seven. 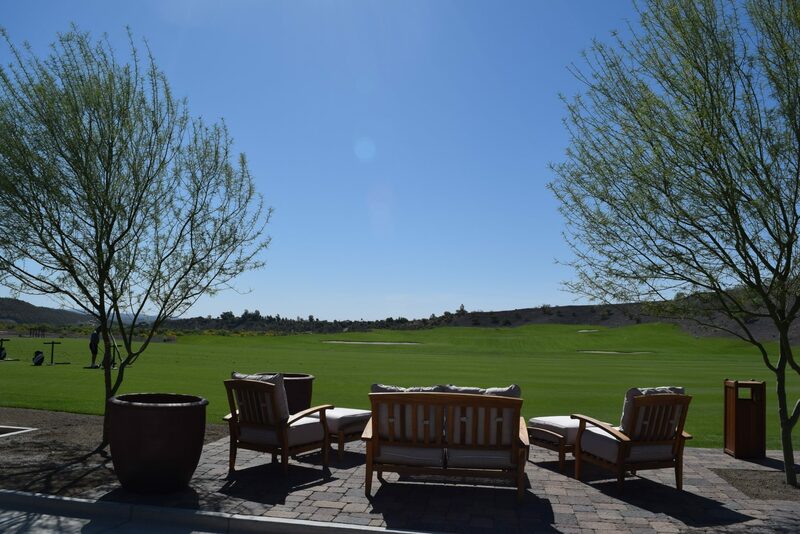 For the ultimate in desert luxury below the Bradshaw Mountains, all residents of the Shea Homes, Trilogy community will have a social membership. Public play at Wickenburg Ranch is available for $75-$95 and includes not only the golf cart and practice balls, but also a Travis Mathew polo AND a Travis Mathew performance outerwear piece with the WR brand logo (valued at $69 & $99 respectively). This is a no brainer. They have sold out every available tee time for 80 straight days continuing through the club’s upcoming spring aerification closure. “We are fortunate in that we may be the only golf club in the country with that type of record,” said Justin Henderson. “Many courses are struggling to fill their tee sheets. We’ve got the opposite situation, and if that’s a problem, I’ll take it.” Pull them on and hit the tees. Way out west cowboy town Wickenburg is now right around the bend from Phoenix thanks to the near completion of the 303. 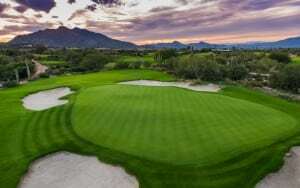 Play is limited to 72 rounds per day so book early. 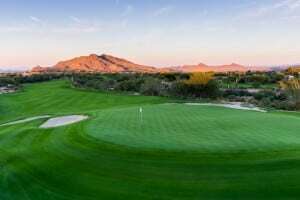 The first residential community offered within Wickenburg Ranch is Shea Homes’ Trilogy at Wickenburg Ranch and home sales are taking off like the golf. Homes within the community are designed to combine modern luxury with western flair, while taking advantage of the natural surroundings, as homeowners will have access to state and federal lands and trails. Shea Homes’ Trilogy® at Wickenburg Ranch residents experience a more temperate climate than the Valley of the Sun. Warm days will be followed by much cooler nights and mornings, as overnight temperatures in the summer drop to approximately 10-20 degrees cooler than those of Phoenix, appealing to potential winter visitors and year-round residents from the Phoenix area and other states.